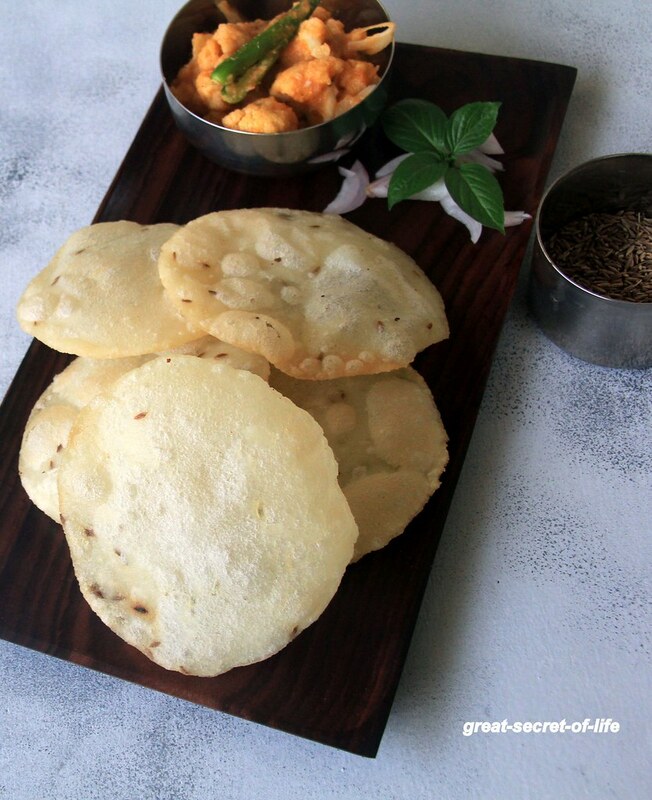 I have tried many poori and I have posted a few versions of Maida Poori, Wheat Poori, Spinach Poori, Methi Poori, Beetroot Poori, Pearl Millet (kambu) Poori in my space. 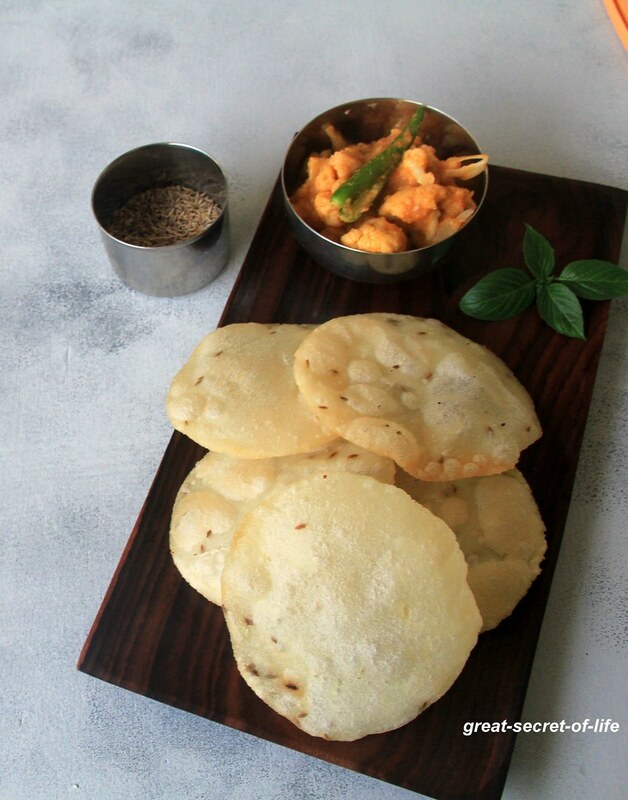 However When I saw this Rice poori in one of the cookery show it was totally new to me. I wanted to try it out. But I was not sure whether my kids would like it. So I was looking for right opportunities to try (yes when you have some other back up to fall to when they don't like it). Finally I tried this and they said it is kind of nice. 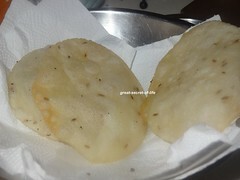 It is very different from other poori but nice. 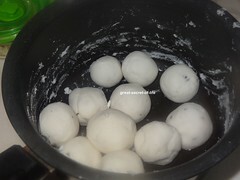 In the cookery show they have added coriander powder, chilli powder etc.. 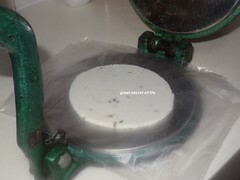 I just added cumin seeds. 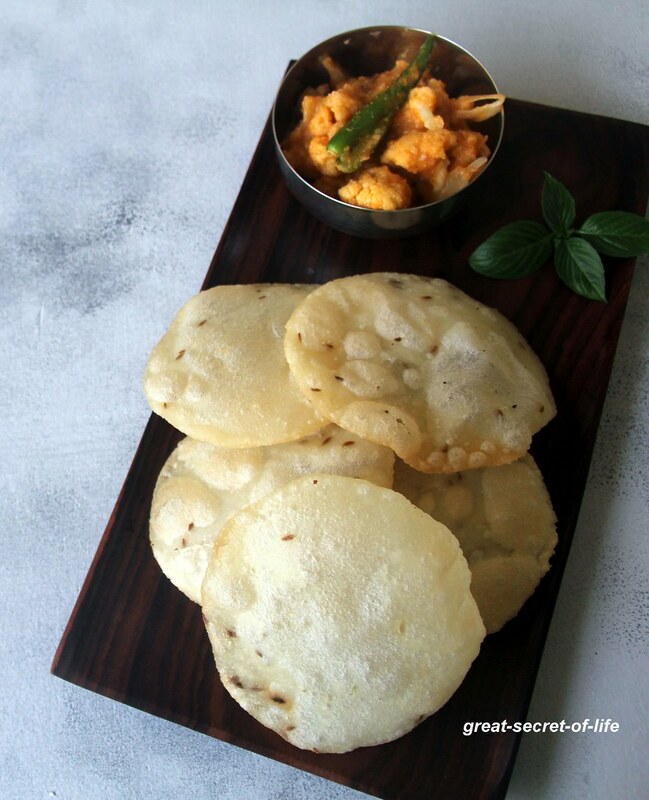 It tasted nice but if you prefer to spice it up you can add your favourite masala powders. 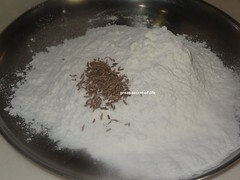 Add Salt and Cumin seeds to rice flour. Keep it aside. Heat the water till you start to see bubbles. 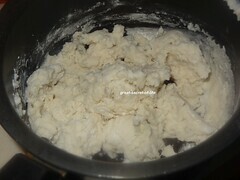 Add rice flour and mix well. Switch it off and close it with lid for 20 mins. 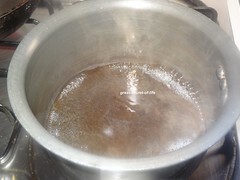 Heat oil for deep frying. 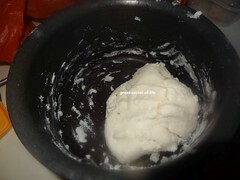 When the oil is hot place the pressed poori and after a second press it with slotted laddle and let the poori puff up. 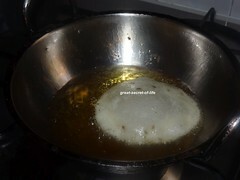 Rice poori won't puff up as good as normal Maida or Wheat.Turn it over and cook till bubble subside. 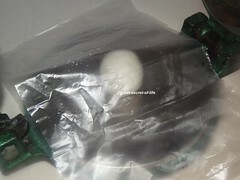 Drain the oil and place it on a kitchen tissue paper to drain extra oil.